Sleep and Health - The Connection Between Sleep and Stroke! Sleep and Health – The Connection Between Sleep and Stroke! Sleep and Health | Could You Be at Risk for a Stroke? symptoms and signs of stroke that most people don’t know. In fact, one survey found more than 60% of those asked didn’t know all the warning signs of having a stroke. 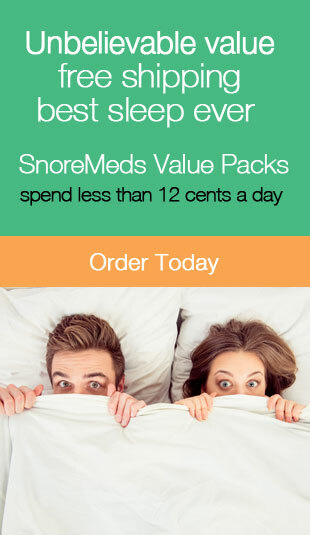 you do snore to lower your risk of having one. A stroke occurs when the blood supply to the brain is interrupted and brain cells are damaged by the resulting lack of oxygen. Embolic– when a piece of plaque or a blood clot travels from another part of the body through the bloodstream until it lodges in a blood vessel to small to pass through. 15% of those who suffer from an embolic ischemic stroke have Atrial Fibrillation. Thrombotic– this occurs when a blood clot blocks an artery that supplies blood to the brain. Large vessel thrombosis often occurs in those suffering from high cholesterol. Small vessel thrombosis is most common in those with high blood pressure. Hemorrhagic strokes account for only 15% of all strokes. They have a higher rate of mortality with approximately 40% of strokes leading to death being hemorrhagic. Intercerebral hemorrhage– a blood vessel within the brain breaks leading to blood seeping into the surrounding brain tissue causing cells to die. Subarachnoid hemorrhage– the majority of this type of stroke are caused by a burst aneurysm which leads to bleeding between the brain and the tissue covering it. Subarachnoid hemorrhage may also be caused by use of blood thinners, head injury, AVM (arteriovenous malformation) or a bleeding disorder. future. 40% of people who suffer from a TIA have an actual stroke in the future. The American Heart and Stroke association suggests using the FAST acronym to recognize when someone is having a stroke. F- Face drooping. Experiencing numbness or drooping on one side of the face. When the person attempts to smile and their smile is uneven and drooping on one side this is a sign for concern. A- Arm weakness. Ask the individual to raise both arms. When one arm drifts down or is weak and numb there is cause for alarm. S- Speech difficulty. Slurred, slow or incoherent speech is another warning sign of stroke. T- Time for Emergency. If the above symptoms are noticed in someone it’s time to call 911. It’s critical that emergency medical treatment is sought as quickly as possible. Any delay could lead to serious consequences and greater risk of prolonged disability or death. While FAST is a great assessment tool to determine a stroke emergency there are other signs to look for. and lowering the risk factors before ever having one. This is particularly important if a loved one or you do snore. increase oxygen levels allowing for both better sleep and health as well as lowering the risk of stroke. of your life. 50-70 million Americans suffer from sleeping disorders that can lead to higher risk of stroke and other serious and potentially fatal medical conditions. When a health professional asks, “Do you snore?” It’s not something to get embarrassed about and hide because discussing it and seeking treatment could save your life. often place electrodes on someone to gather information about brain activity, breathing and other vital health information to be able to give a proper diagnosis. and learning or academic issues. cycles and have increased the risk for diabetes. These metabolism disruptions can also lead to mental and mood issues. If you do snore because of a sleep disorder your overall health is suffering. Each aspect of your life that’s affected by your sleep issues can increase your risk of stroke. heart conditions such as A-fib, irregular heartbeat, etc. Undiagnosed or improperly treated sleep disorders increase your risk of each of the above conditions. That, in turn, increases your overall risk of having a stroke. serious medical conditions. Turning off electronics, having a regular nighttime ritual and having warm drinks before heading to bed can help you fall asleep faster. post on effective treatments to help you get a good night’s sleep.